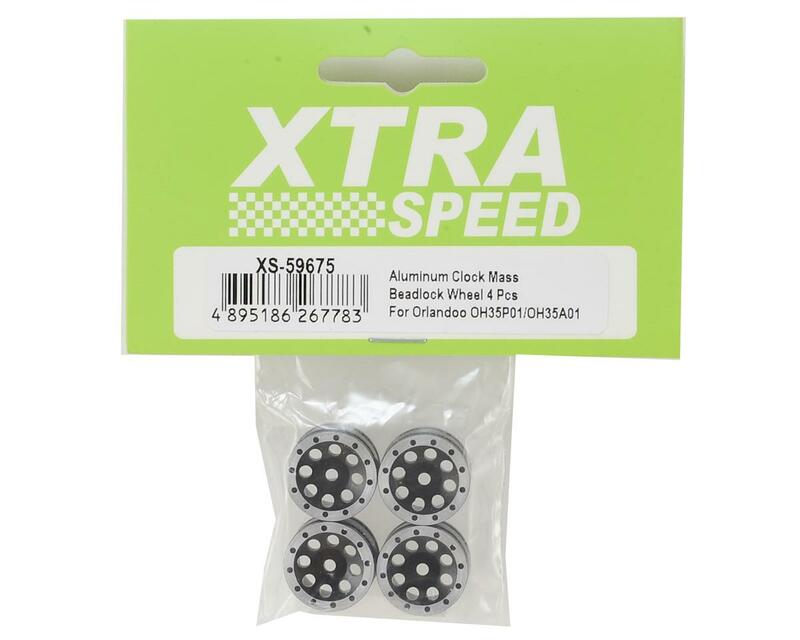 The Xtra Speed Orlandoo Hunter Aluminum Clock Mass Beadlock Wheel Set is a must have upgrade for your 35A01, or 35P01 model. 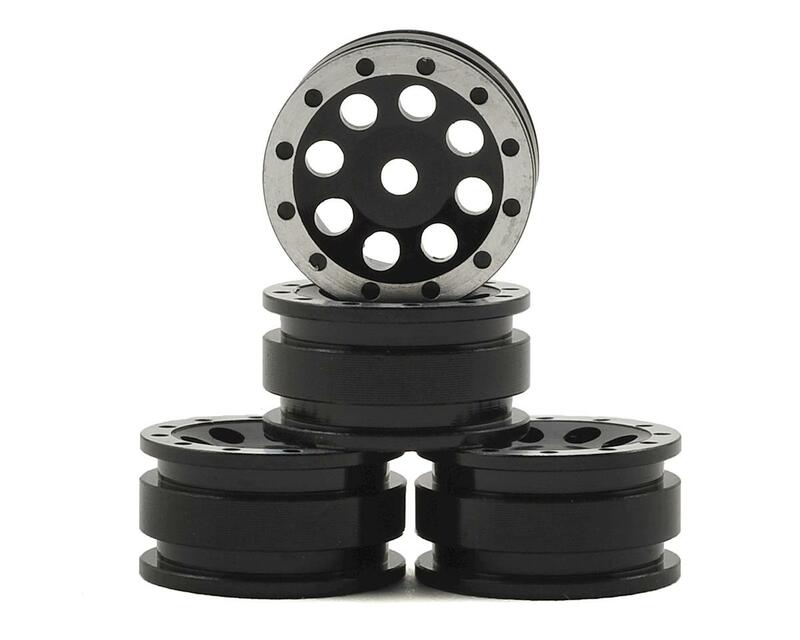 These wheels are machined aluminum and are approximately 1 gram heavier than the stock wheels, providing a little more weight down low for improved traction and stability. 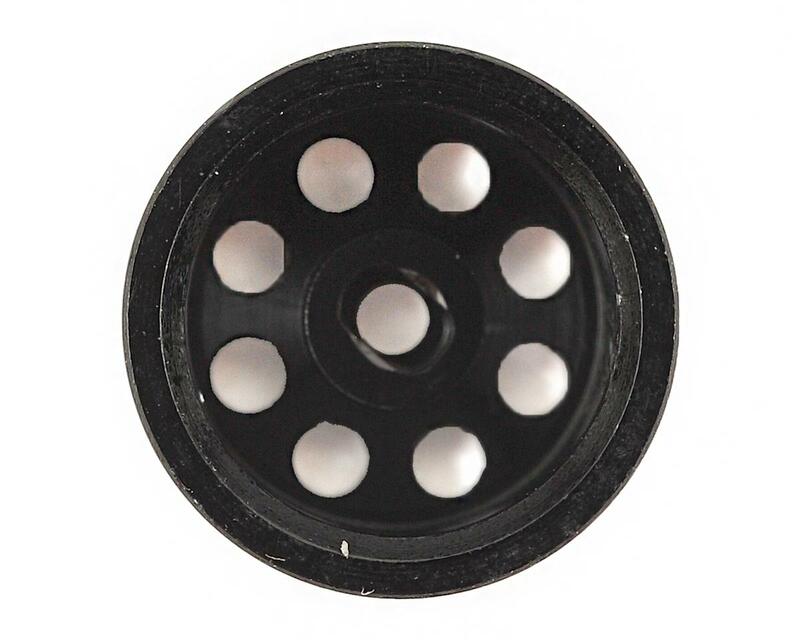 Package includes four wheels.